Structural optimization [1,2] can be essentially conceived as a rational search for the optimal spatial distribution of material within a prescribed admissible structural domain, assuming the loading and boundary conditions to be given. In the general case, this problem consists in determining both the optimal topology and the optimal design of the structure. 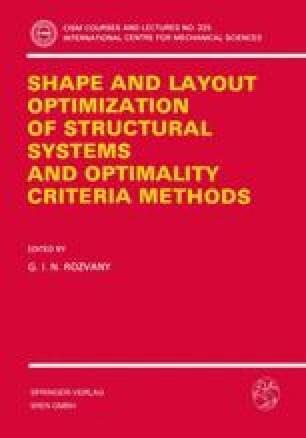 Here the label “optimal design” covers the optimal shape or sizing of the design.